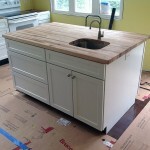 The butcher-block top and sink were installed Friday. Water in the kitchen! 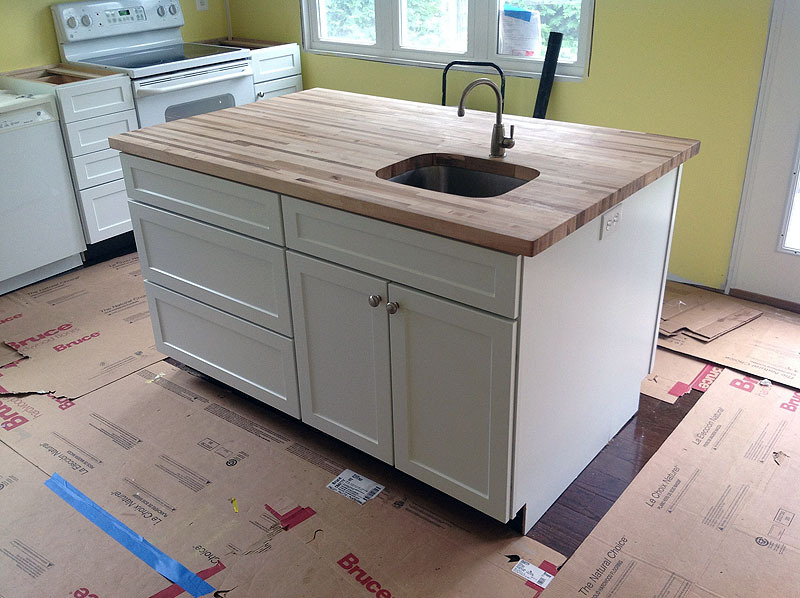 The island is complete except for the drawer pulls now.